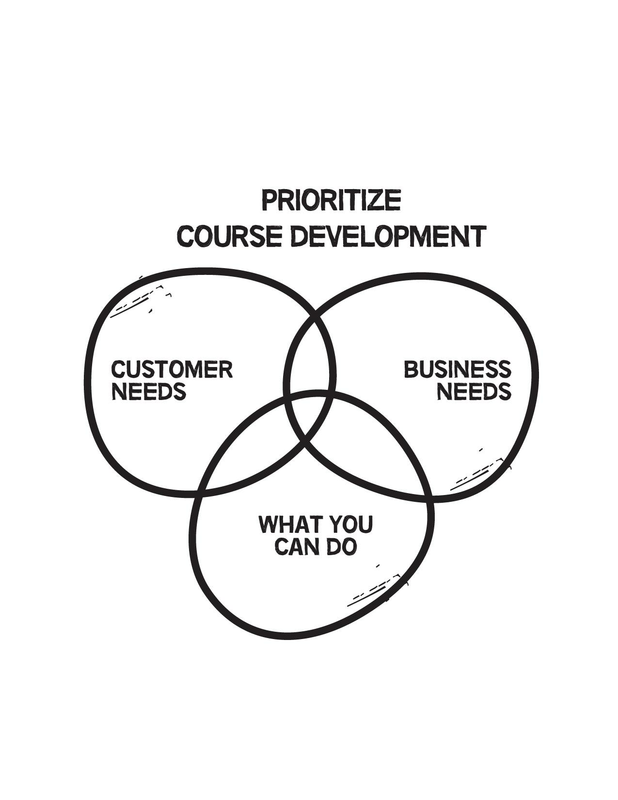 It is difficult to prioritize course development projects when you have various competing needs and several courses that need to be developed. You just sit at your desk and ask yourself, "Which should we work on first?" The key to answering this question is to understand the different needs that are competing for your attention and how those needs overlap. A simple Venn diagram can help you see where these needs overlap and where they do not. Once you look at the problem in this way, it becomes more clear how to proceed.